JoyLax | Opinions & Views With Meaning! Hello! Today, I would love to inform you that my book is available for download on Amazon Kindle Store for a limited time. In that order therefore, all book lovers have an opportunity to download this awesome story without paying the regular price. 1)What is the title of the book and why? After thinking hard enough, I decided to go with My Life Sentences – a True Story. I chose that title because I felt like it reflected what I have gone through as a person except in sentences. 2)What genre is your book? My Life Sentences is based on a true story(non-fiction). Everything you read in this book happened and in fact some of them are still happening right now as we speak. I wrote this book from a personal experience and today I am giving you the opportunity to look deep into my crazy life as well as my own plan for the future. 3)Where can the book be purchased or downloaded for free? Kindle Tablet – If you own a kindle, then you should be good to go. 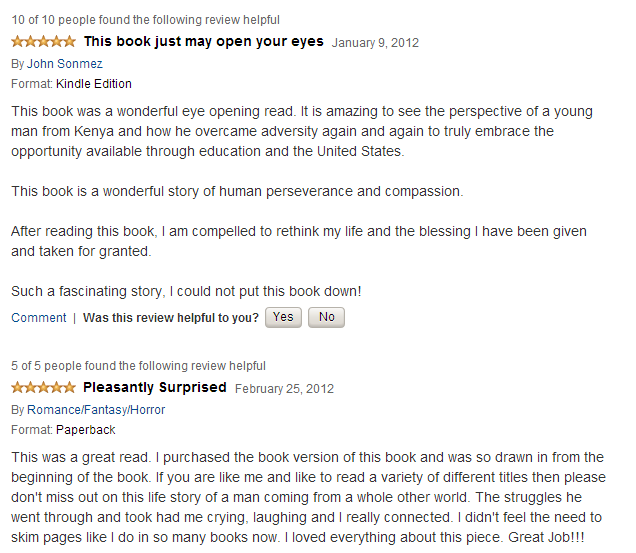 Just search for my book “My Life Sentences – a true story” and download it to your tablet. Android Smartphone – just download a Kindle App and then download the book. iPhone – You can also download a free kindle app from the store and off you go. Any other tablet that accepts apps – Download a free kindle app and start downloading books. If you have questions on this, please let me know. NOTE: If you don’t have any of the above choices, please contact me and I will give you a free $10 amazon gift card to buy the print version. This will only be one reader. So, the first person to contact me because they don’t have any smartphone or tablets or PC will get $10 to buy a print version. Thank you so much and now you can grab a copy of this book before time runs out. If you have any questions, please let me know either through Twitter (@eenvincible) or Facebook (ElishaTheAuthor) or through the contact form on this blog. Please share this post with your friends if you liked it. That will mean the world to me. 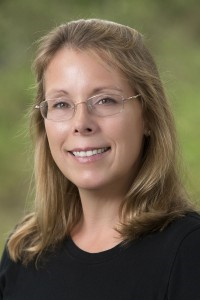 If you also have questions on self-publishing, let me know – I can help! Thank you! What is the title for your book? Romantic Suspense, I actually think Romantic Mystery is more accurate. It can be purchased for Kindle and in paperback at Amazon.com, but will be FREE for Kindle users 11-15 June. Oh, the idea evolved. It didn’t just happen, in fact the book is a lot different than the original concept. I’m what writers call a pantser, meaning I pretty much just sit down and start writing. I do a lot of brainstorming first, of course, but writing in this way means ideas frequently change. For Scott, I really like the guy who plays Grimm, David Giuntolli. He’s very handsome, but very approachable looking. I don’t have a particular actress in mind for Katherine, but I’d like someone who resembles a twenty-something Elizabeth Shue. When 28 year old Katherine O’Brian pops out for a late night snack, it almost gets her killed, and not from indigestion. I’m represented by a small publisher called Booktrope. I’d always loved writing, but I’d never actually written a lot for pleasure. Usually I wrote for school or work. When I left the military, I had the time, so gave it a try. I like to tell people that if they like Jane Austen and/or Agatha Christie, you’ll love this book. It’s romance and mystery, and suspense, and comedy; and everyone who has read it has said, they didn’t see the ending coming. Which, to me, is a huge compliment. Scott and Katherine are both in their late twenties. For one reason or another they’d both put off finishing college. When they both go back, they meet and are paired for a project. They become good friends. The eventual romance is very realistic, very friendship-based, and doesn’t come easy. Because they’re friends, and aren’t trying to get each other into bed, they’re not afraid to give each other a hard time, this makes for some very funny dialogue. A friend of mine recently introduced me to Quora and I dismissed him at first. I quickly looked at the sample content he shared with me and moved on to the next email I was supposed to read. It took me a while to realize that I had made a mistake. 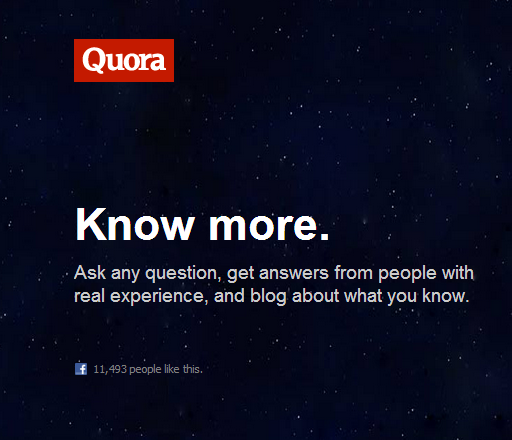 Here is why I was missing out on some priceless information during the days that I was not using Quora: The real experience, the best answers you can get from real people, the idea that you can ask a question anonymously and get what you need, the fact that it is free for all and much more. Assuming you have a really personal question that you cannot publicly ask someone (face to face), just hop on to Quora and within a few hours, you will receive answers. Think about anything, technology, business, life, politics among other subjects, you will not be disappointed! Instead of wasting time on sites like Facebook or Twitter (oh no, I know you are not wasting time, sorry), Quora puts things to perspective. There are certain questions that most humans ask themselves. Queries about life, what to do when your wife is spending two hours at the store while you are waiting in the car or what to do when you are 35 years old and feeling like crap. Most often, you will notice that by just noticing that you might have wasted so much time in your life, you have taken the first step towards self-awareness! So, let me make this easier for everyone by shortening my post and giving you a minute to pay a visit to Quora . Disclaimer: I have no affiliation to Quora whatsoever. I am just a loyal user whose life has been changed by the great content generated by Quora. The fact is, having the right information is not enough. Taking action is what matters. Put the two together and you will never be the same again! 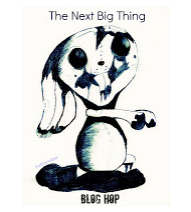 Welcome to the next big thing blog hop! Join the fun blog hopping our way through some new reads, including works in progress and new and upcoming releases. For those who have never been part of a blog hop before, when you are done reading my blog post, you can go on over to the next blog link for more information and fun. I picked them from a huge list of awesome bloggers. Most blog hops are intended for introduction of works in progress, upcoming releases or newly released books. This is achieved by answering ten interview questions. I hope you will take a moment (really, I hope you do) to visit my friends blogs or websites where you will be able to see some of their works either published or in progress. Thank you! What is the working title for your book? Where do I start describing this? In brief, this not beinga work of fiction, you would imagine it being totally different as far as ideas are concerned. This is about everything I have been through, each step of the way. The lows and the highs. After struggling through certain things in life and being fortunate enough to have what I have at the same time, I decided to share my personal story by writing a book! Non-fiction (Autobiography as many would call it). 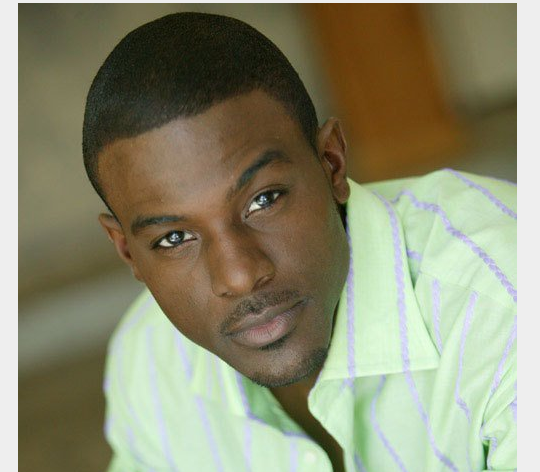 I thought about this really carefully and I settled with Lance Gross! That is a really tough question! Either way, I will give my best shot. I (author), had to make a decision as to whether I should continue my dreams or give up! I decided to take the self-publishing route through both Amazon and Createspace (which is an affiliate of Amazon). There are several reasons but I will mention the obvious: It is totally free. Secondly, the royalties are 70% for ebooks and relatively higher for print! Self-publishing is the way to go if you don’t want to wait years for an agency that will pay you peanuts. It took a while to complete writing my first draft. That was because I kept debating whether I should actually publish my personal story for the world to see or keep it to myself. I had been dreaming of writing a book for years and when time was right, I bought some pens and a note book and started writing! Since I didn’t have to do a lot of research (everything was within my fingertips), it took me a relatively shorter time than other genres would take. Good question. Let me see, well, I think after going through the challenges that I went through, and still being fortunate enough or as I would say, blessed, all I had to do was to look around me, see where I had been from, and picture the future. That inspired me more than anything else. Do you love travelling the world? If you answered yes, then my book is based on two different continents! That is, part of it in Africa and the other part in the United States. Difference in cultures is made quite clear and all sorts of stereotypes are hands-on. Has someone ever asked you if you lived on a tree? I didn’t think so. Well, I have been asked that. Or whether I lived with wild animals like lions or cheetahs. Crazy world! Please check the listed sites out and take a look at their works in progress. That should be enough for now, right? Thank you for reading this post. If you have any questions, please do not hesitate to ask me. See you soon! One other thing that happened today was the inauguration of Barack Obama (president of the United States). I think that was a demonstration of what democracy is all about. Now let us get to work because the journey has just started. 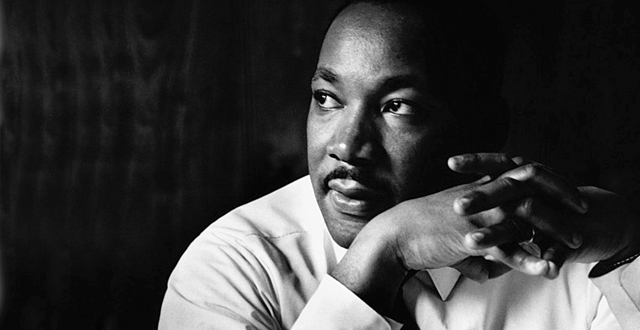 Now, I really liked most of Dr. King’s speeches and sayings but one line in particular touches my heart: ‘…On the mountain of despair, a stone of hope.’ So why do I like it? It is a long story but I am going to be rational and shorten it. We all have had our plans turned upside down, you have not got that job you have always wanted, at certain points, you have even considered giving up. You have lost your best friend, your enemies wish you never lived, your finances are out of order, your children just don’t seem to get things right, your son is in jail and you are on the edge. What do you do when your college application is turned down? You are in your 30s and you can’t seem to understand what life is all about. You just wish you could do better than you already are. Your dreams have been shattered not once, not twice but thrice. If you believe in miracles, you have waited for them for years on end and nothing seems to work. I know what it feels like. Now what? I know for sure that you will not wake up one morning and find all the answers outside your door waiting. You however cannot afford to give up now, instead, you must hold fast to your hope because it can only get better. Insist on what you really want and keep fighting for it. Look up to the mountain, you will see despair, temptations to quit, but if you look just a little farther, you will see a stone of hope! That hope will keep you alive. Thank you for visiting my blog and I hope to see you around. If you have any comments, please share them below. NOTE: I have a brand new blog that I think you might like and you can find it at Simple Developer Blog . It is dedicated to learning how to code. Thank you again and have a beautiful day. 600 people reached the top of Mt. Everest in 2012. This blog got about 8,800 views in 2012. If every person who reached the top of Mt. Everest viewed this blog, it would have taken 15 years to get that many views.